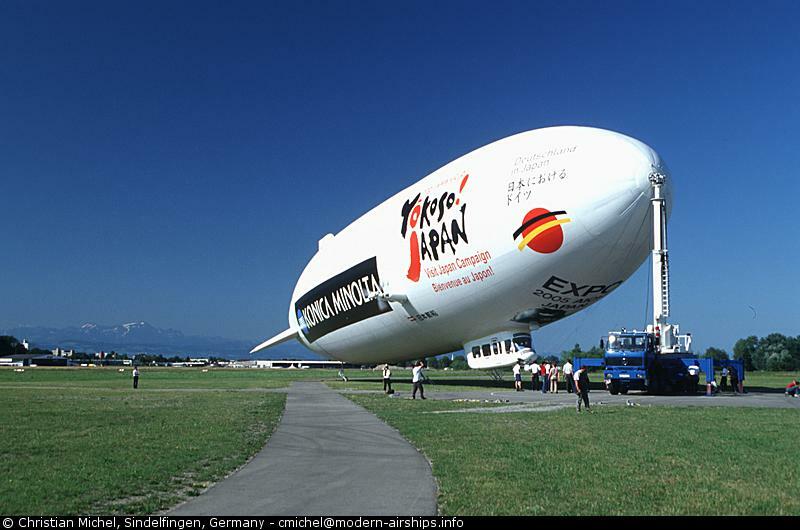 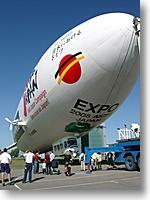 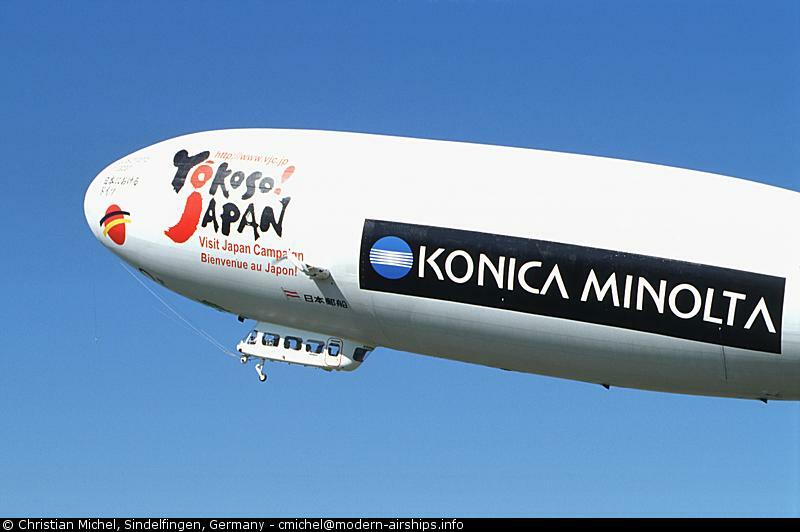 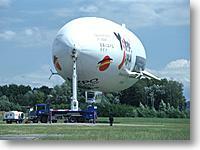 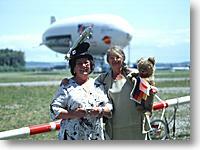 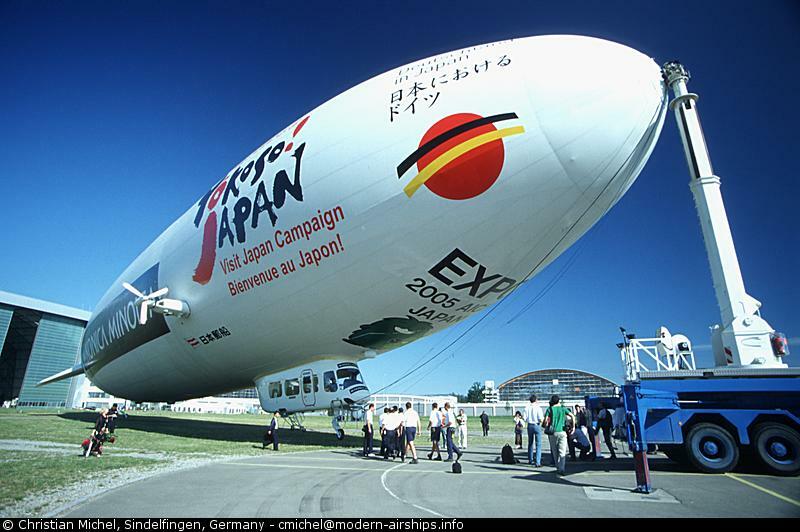 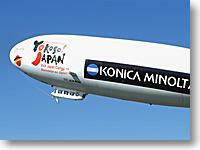 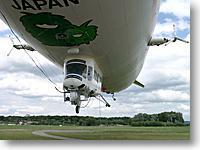 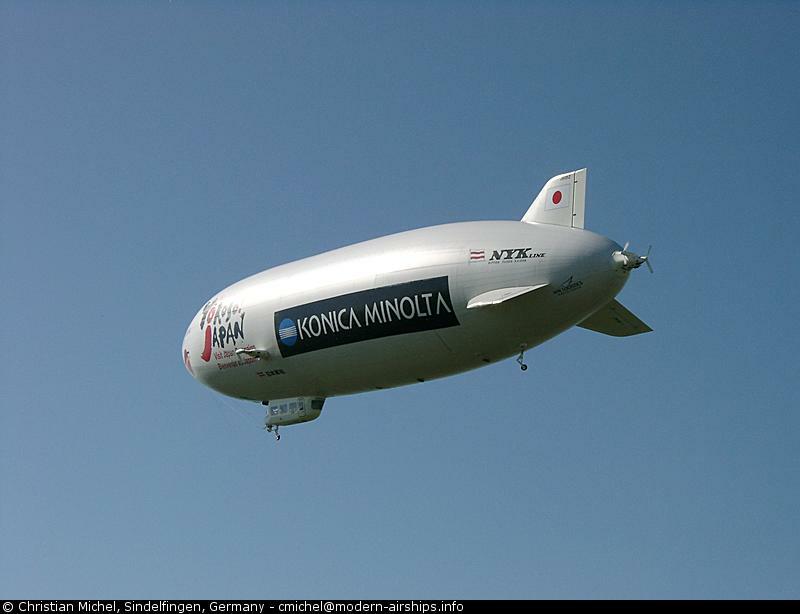 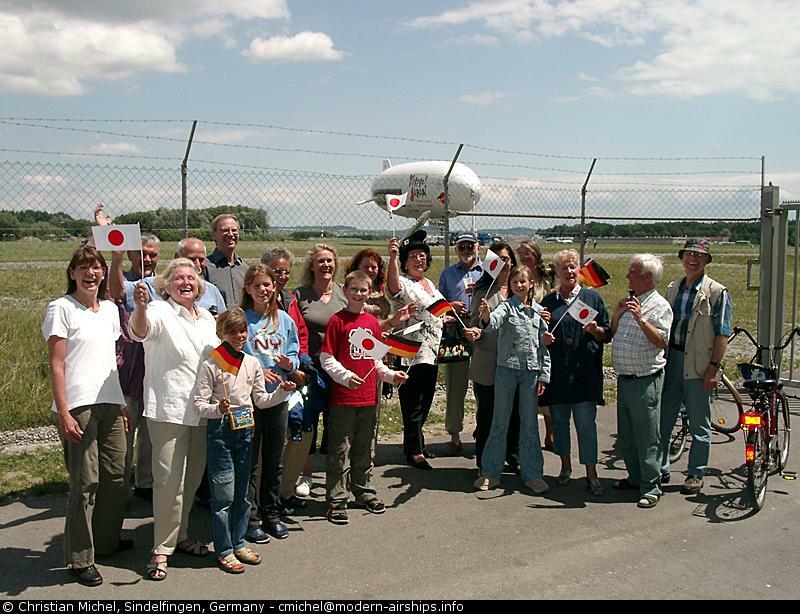 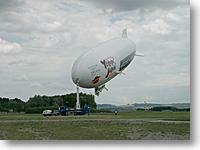 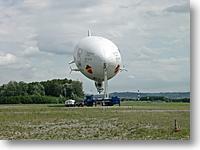 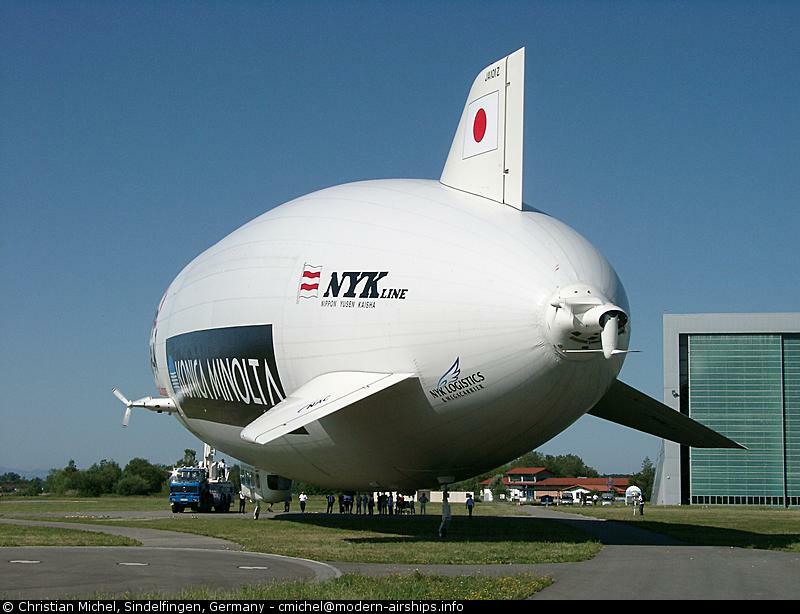 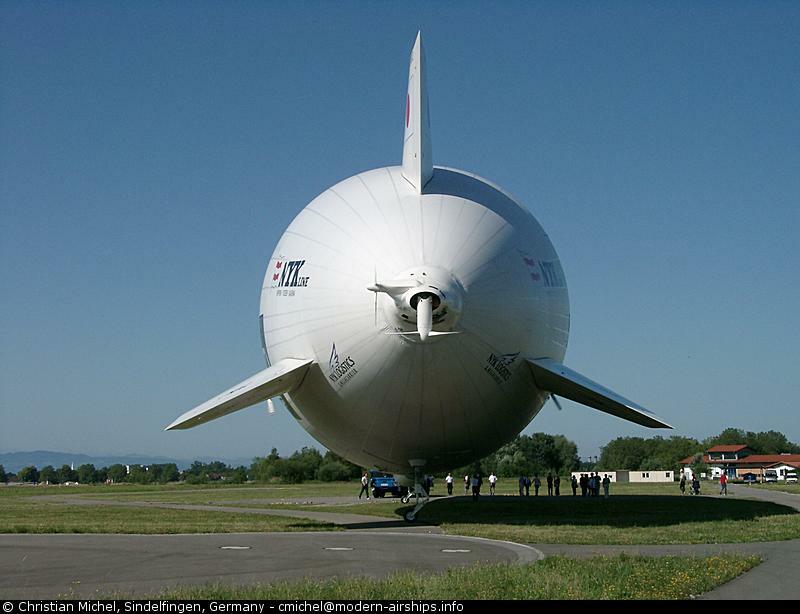 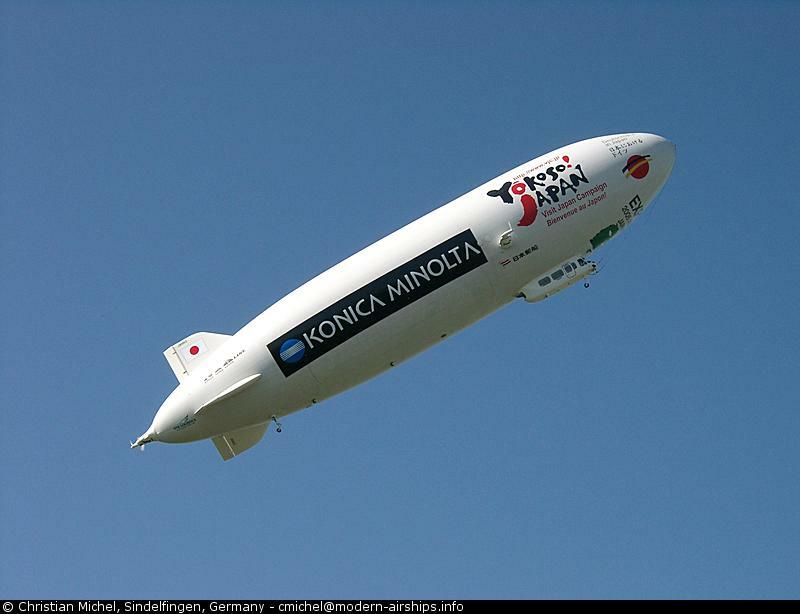 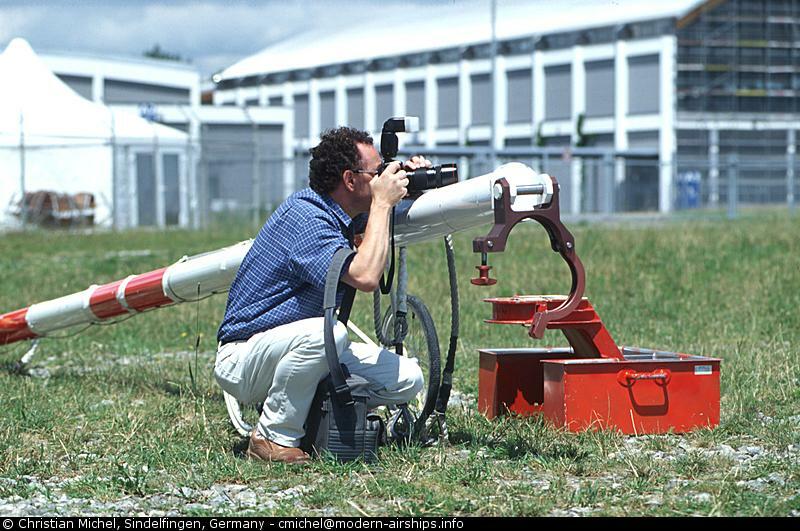 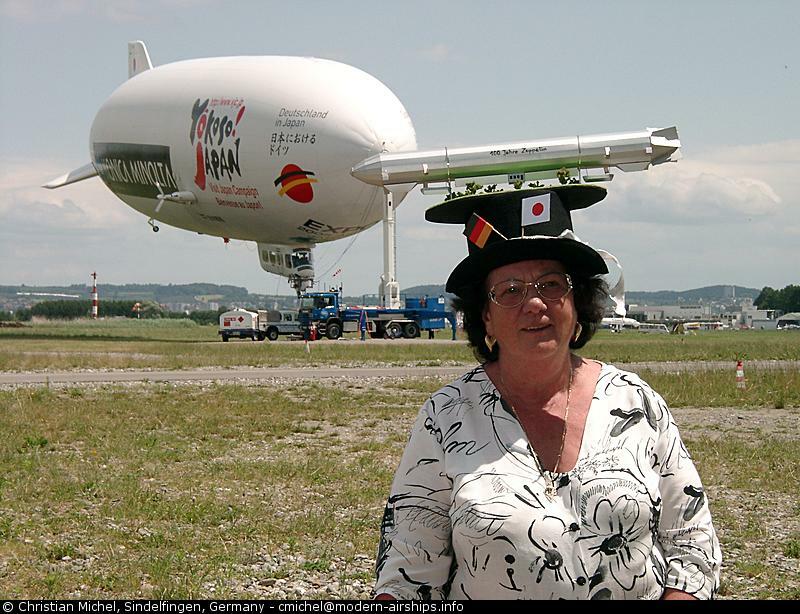 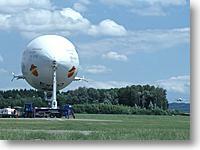 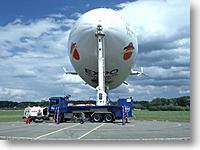 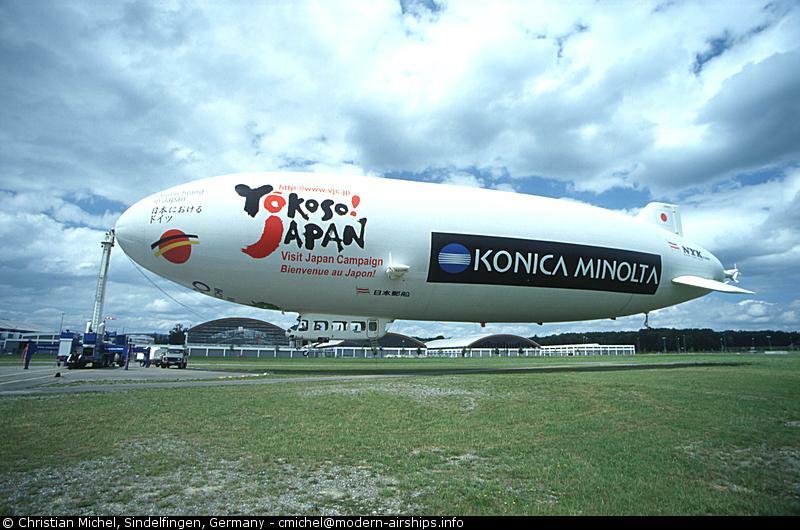 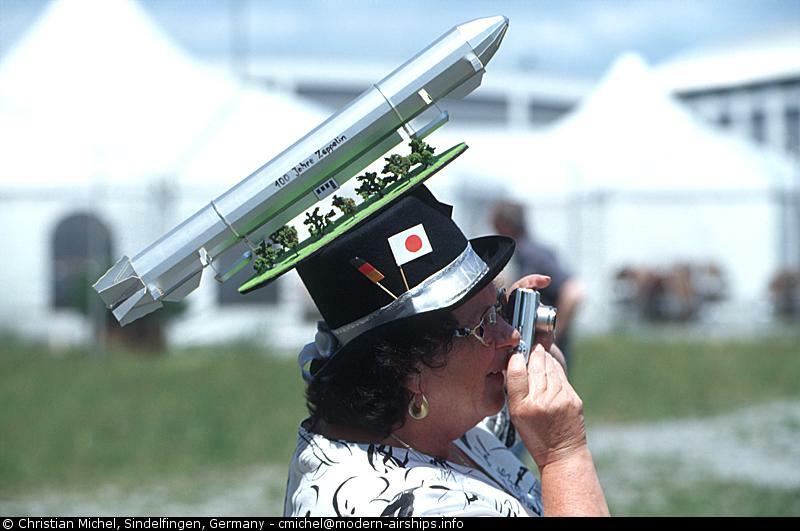 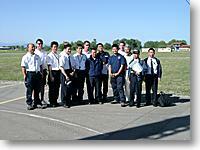 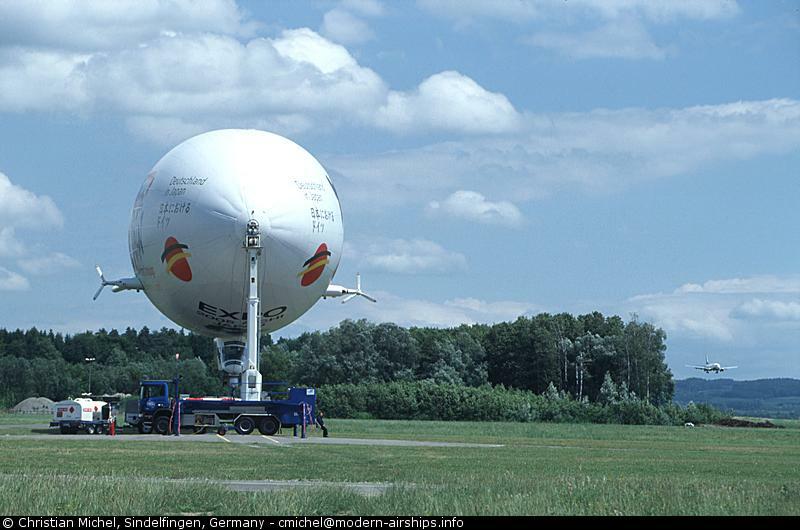 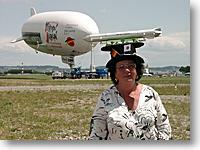 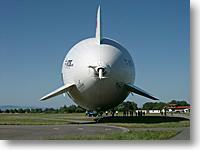 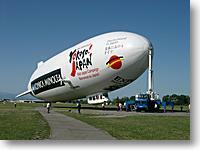 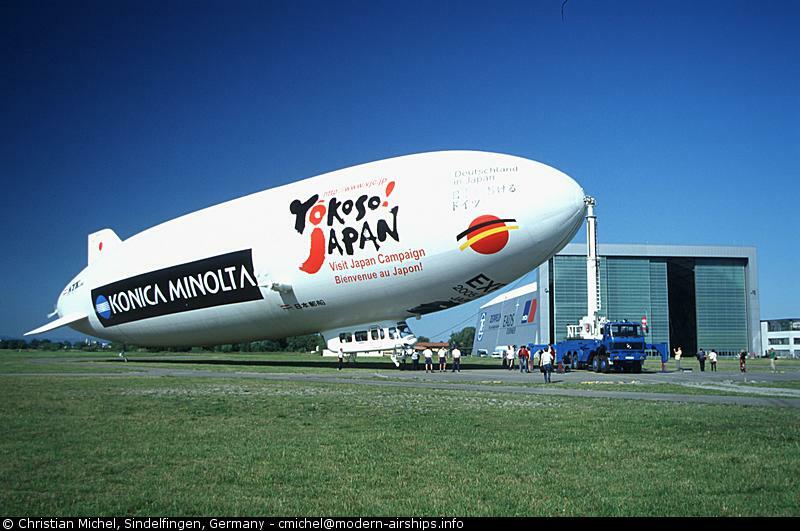 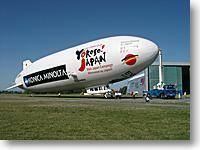 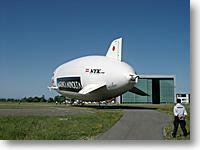 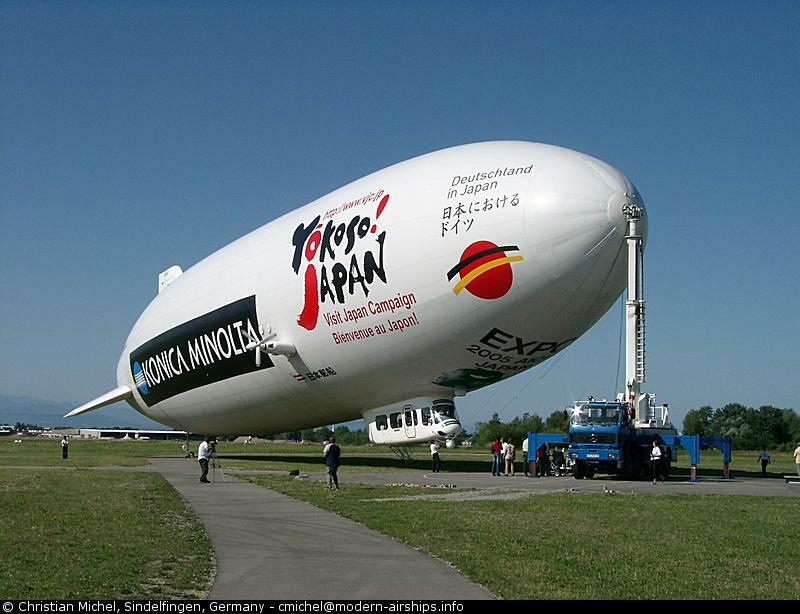 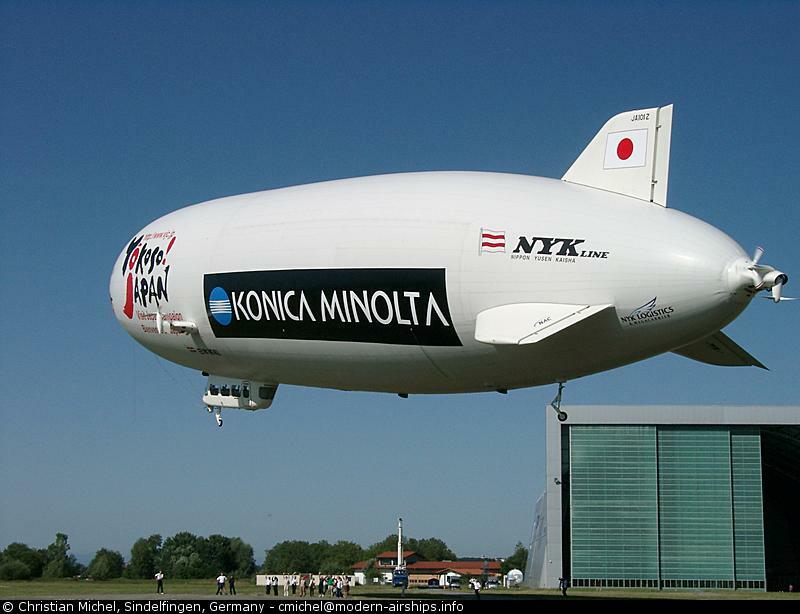 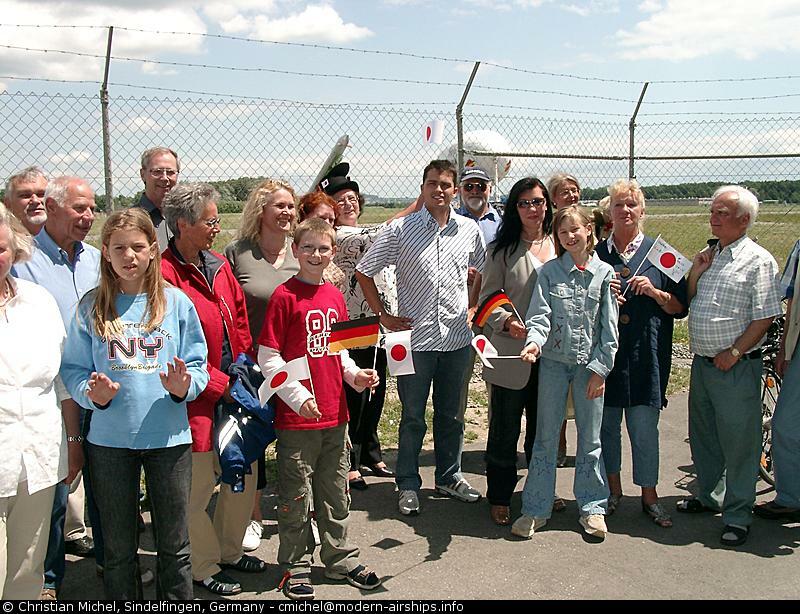 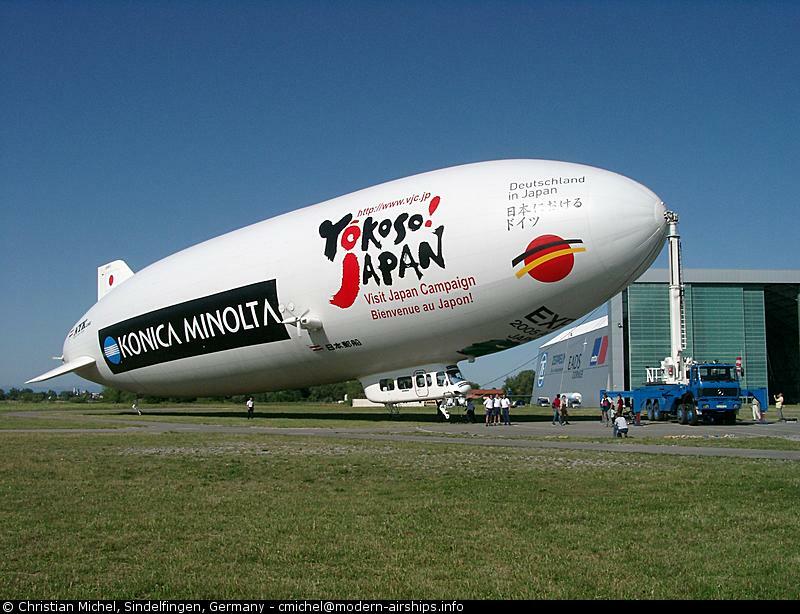 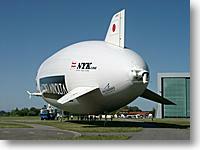 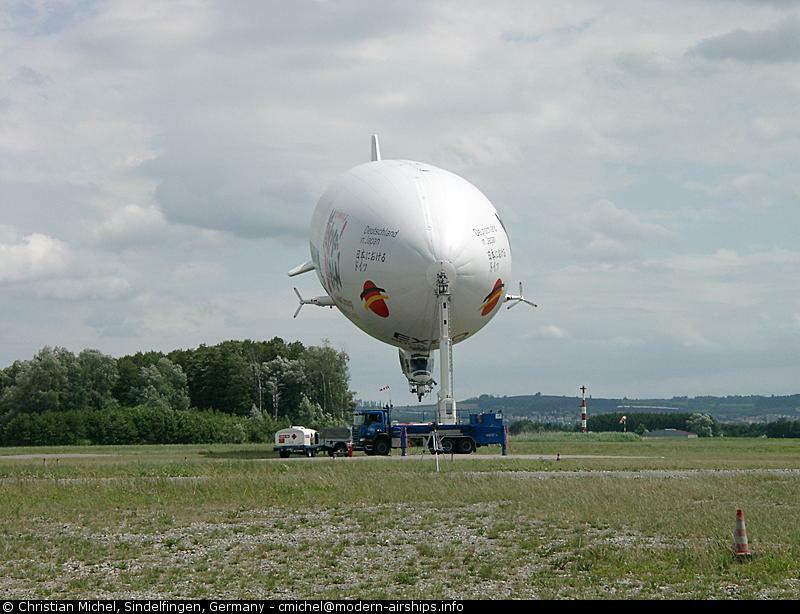 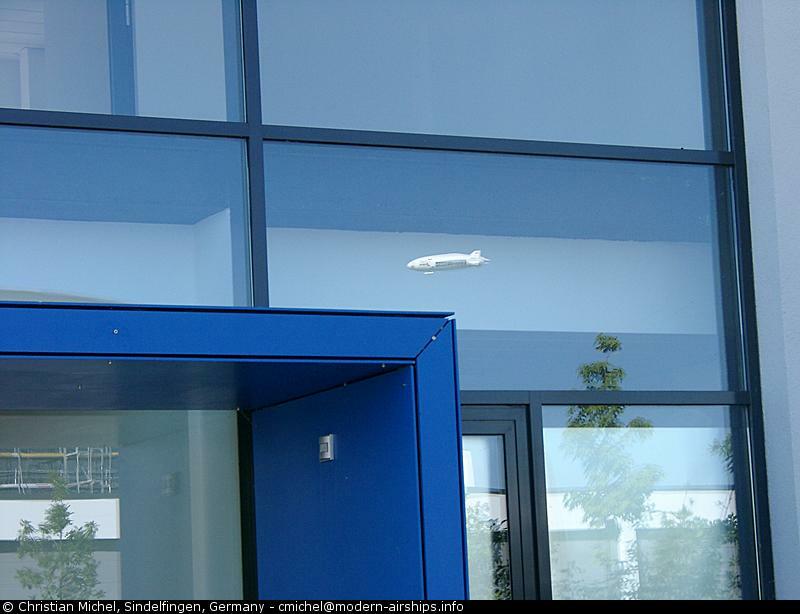 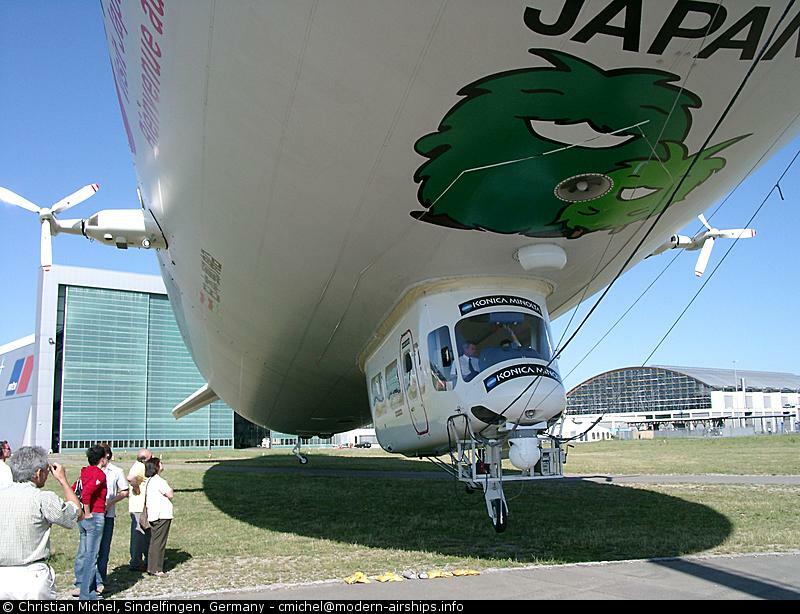 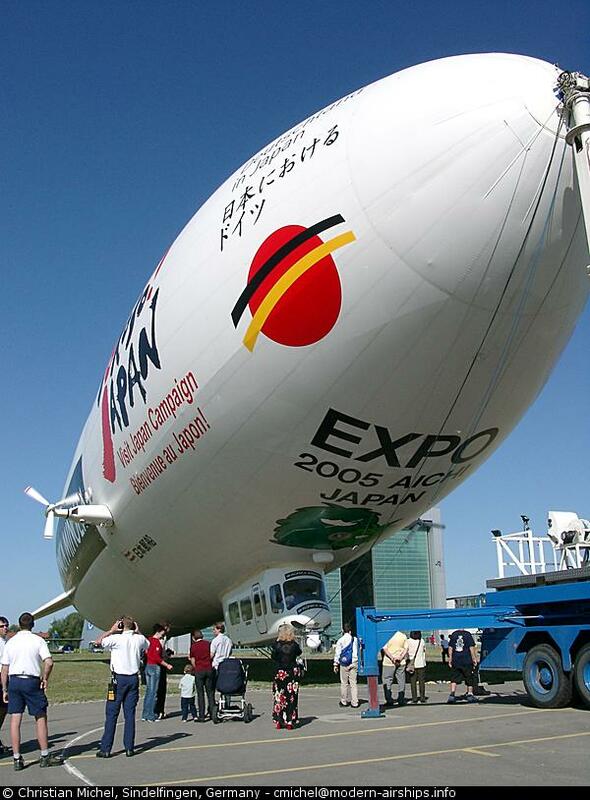 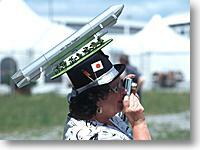 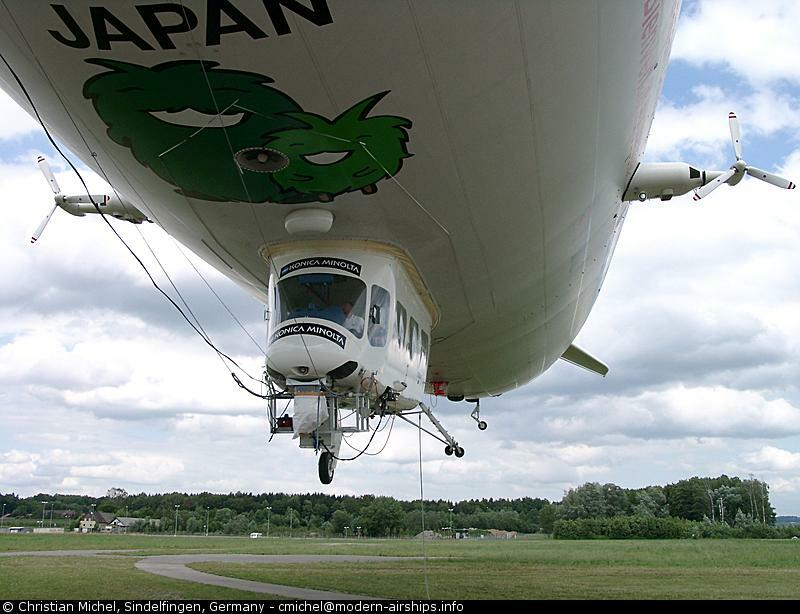 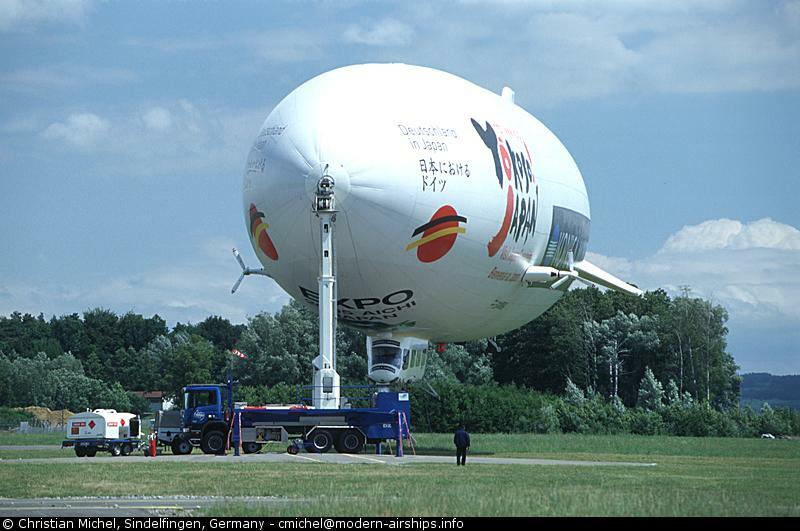 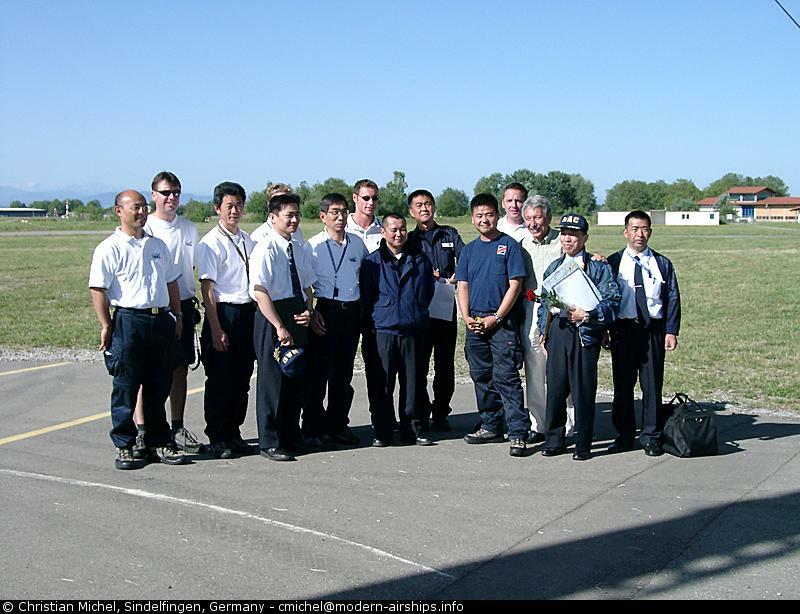 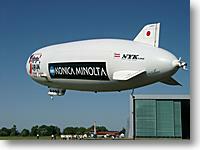 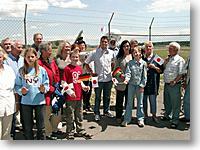 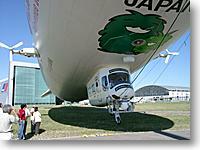 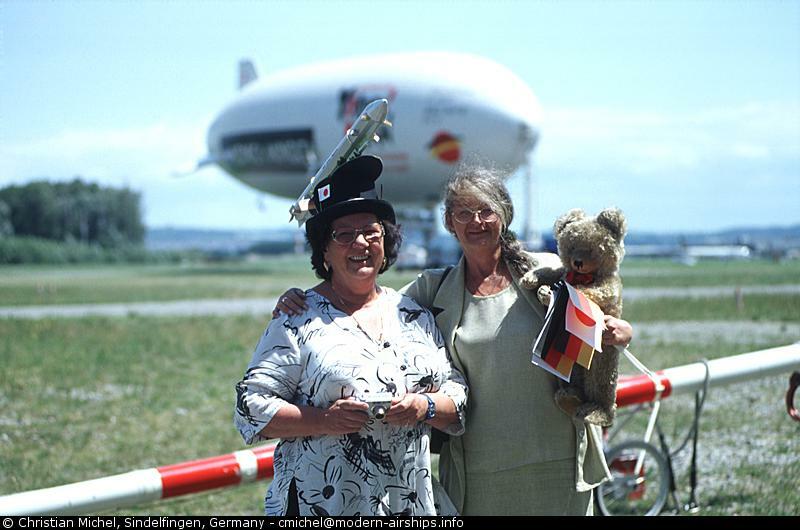 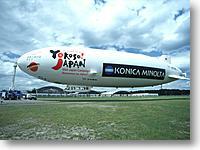 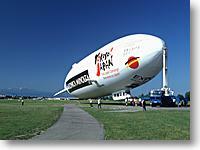 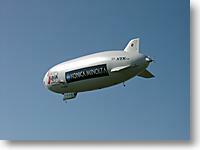 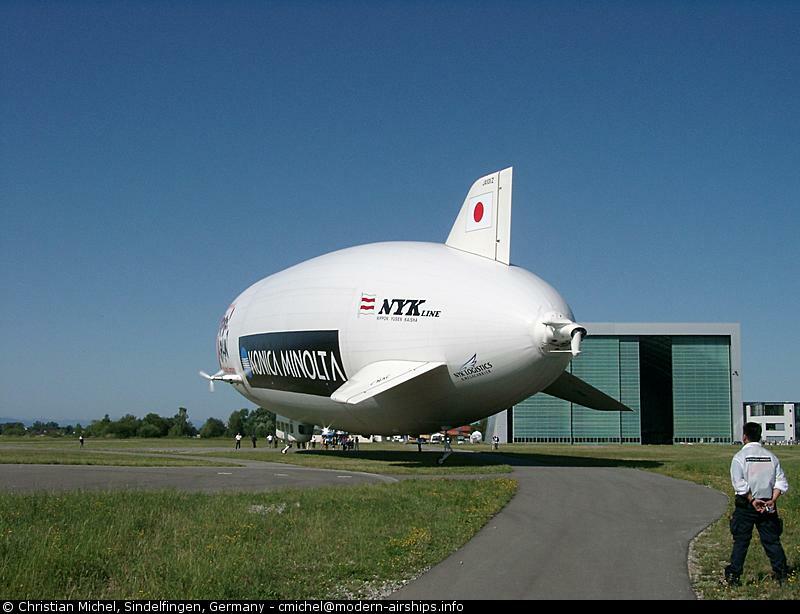 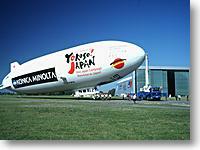 Two days late because of the unfavourable weather the Zeppelin NT S/N 2 (previously named "Bodensee") took off on July 4th, 2004 for its ferry flight to Japan. 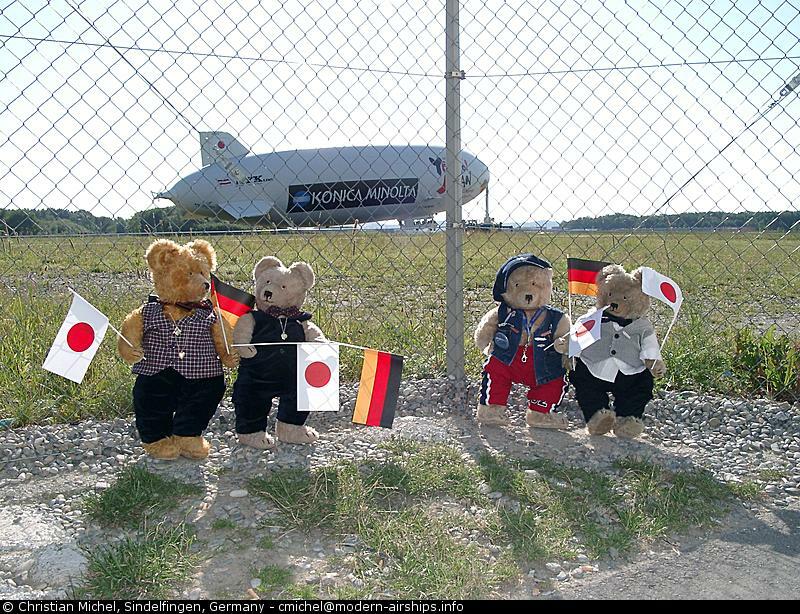 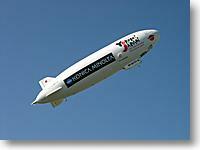 The Zeppelin will follow partly the historic route of LZ 127 Graf Zeppelin on its journey to Japan which will cover more than 15.000 km. 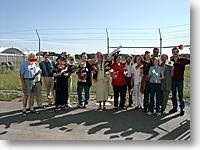 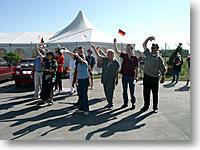 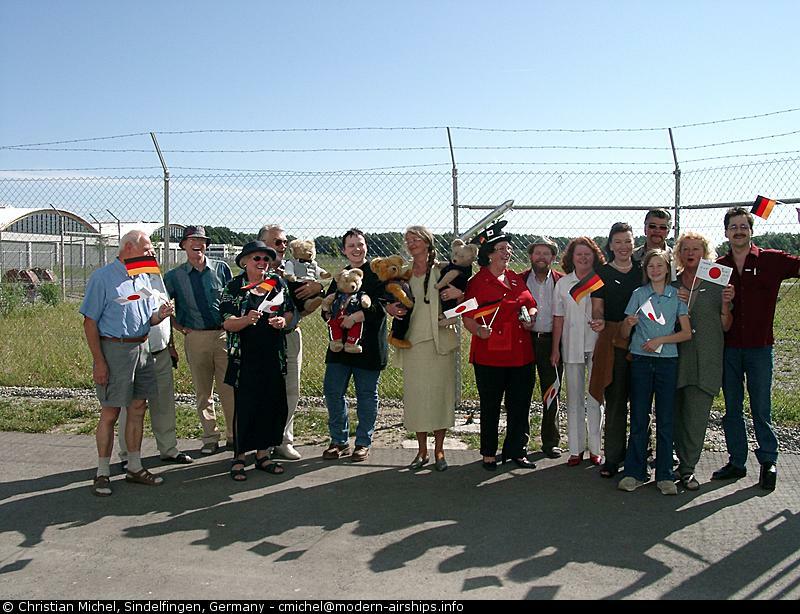 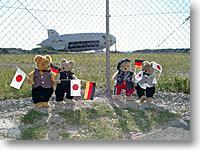 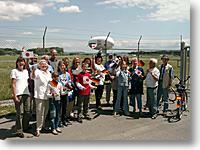 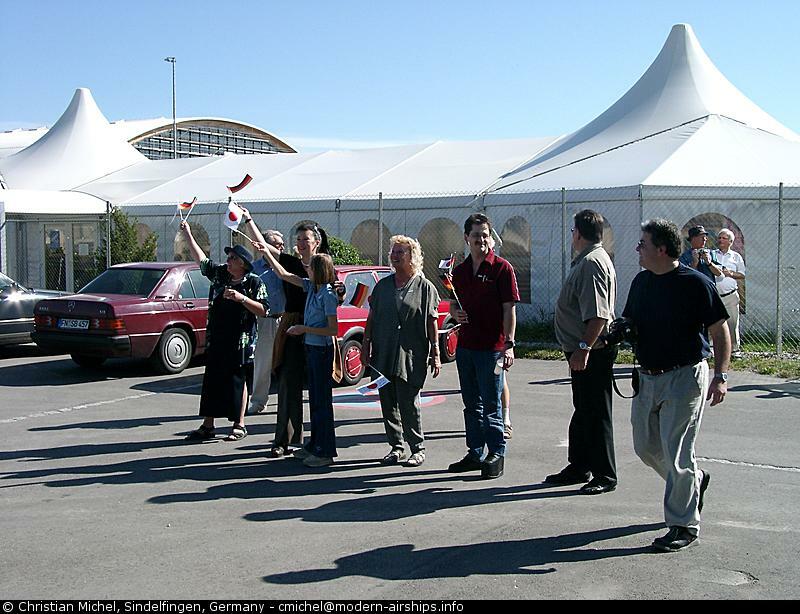 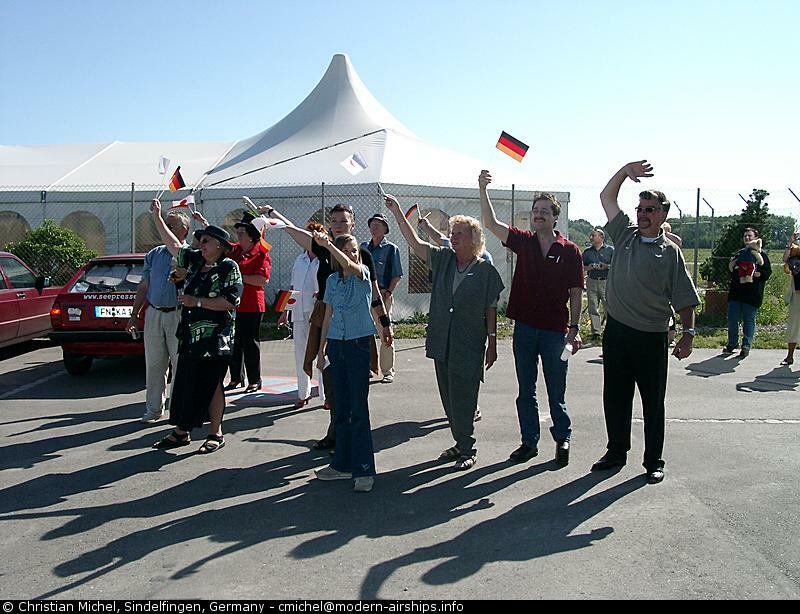 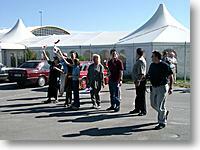 Around 50 enthusiastic Zeppelin fans were present for a spontaneous farewell party at the Zeppelin hangar in Friedrichshafen. 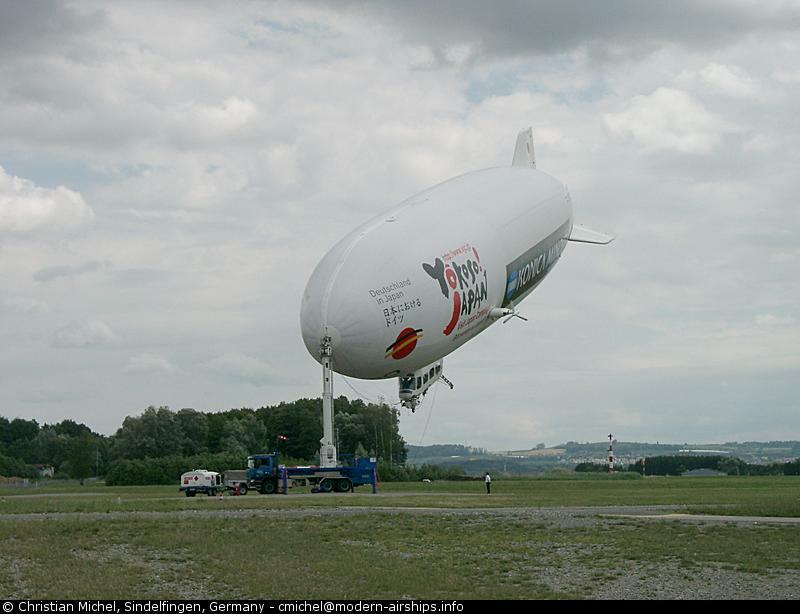 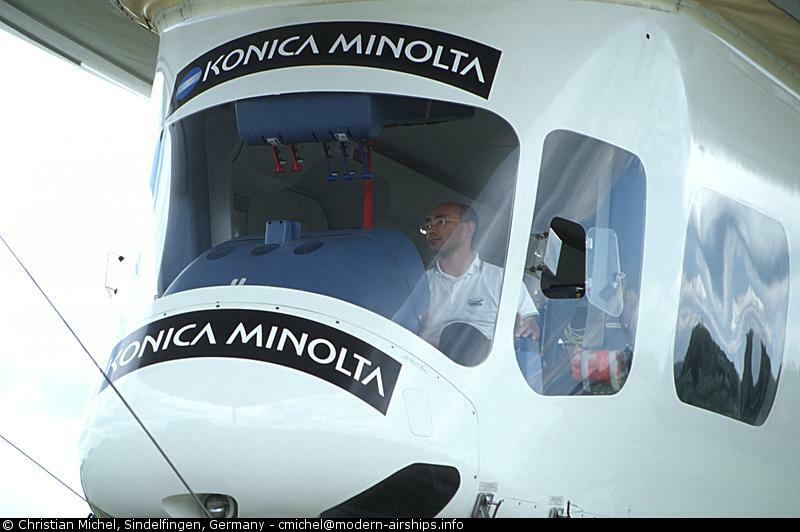 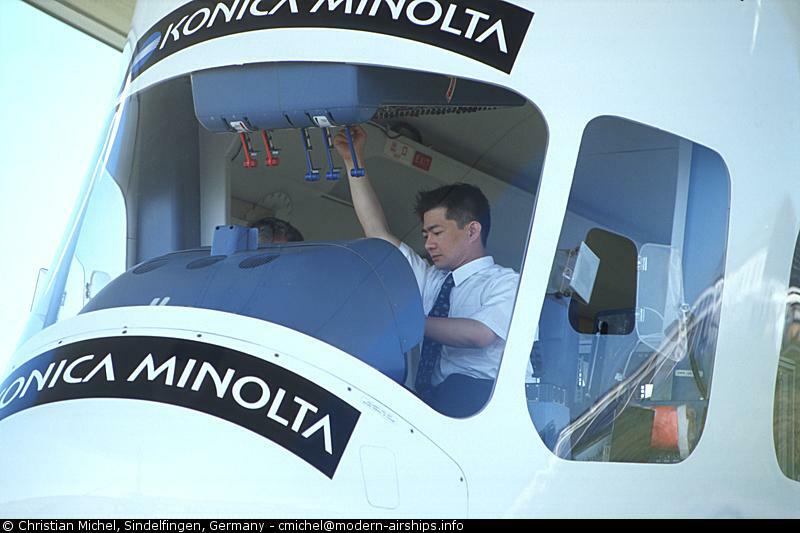 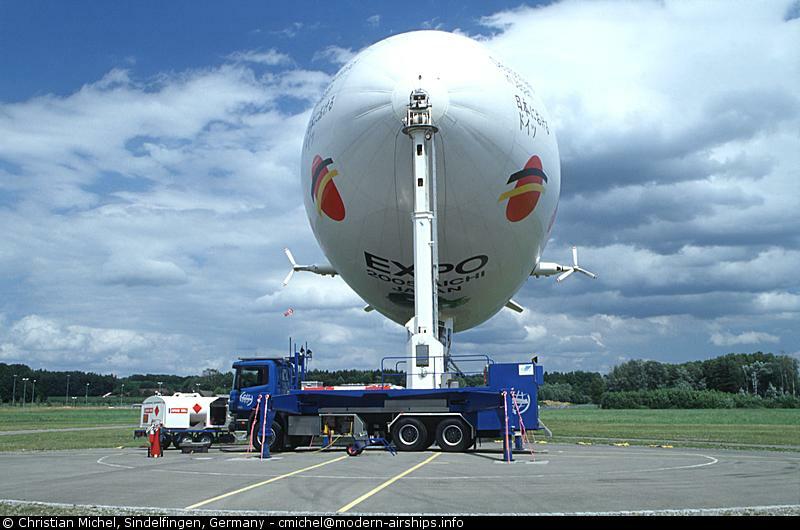 The first leg of the transfer flight will take the airship to Halle/Oppin, from there to Berlin and Hannover before leaving Germany heading for Scandinavia. 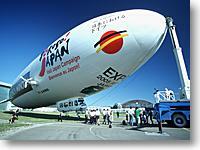 From there the route goes through Russia over Moscow until reaching Japan.